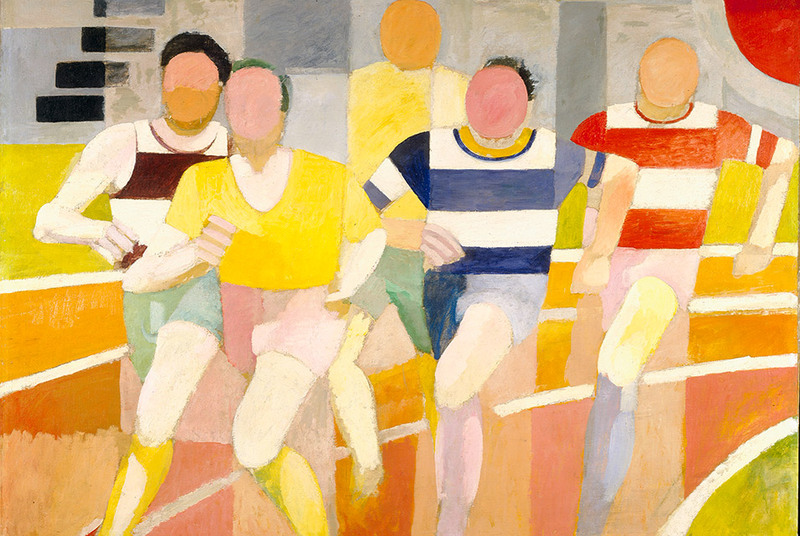 Robert Delaunay, The Runners, 1924–1925. Oil on canvas, 153 x 203 cm. Private collection. Some 80 paintings, works on paper, films and photographs that explore his favourite themes – aviation, sport and the use of colour in art – will introduce you to Delaunay’s art and his artistic milieu. 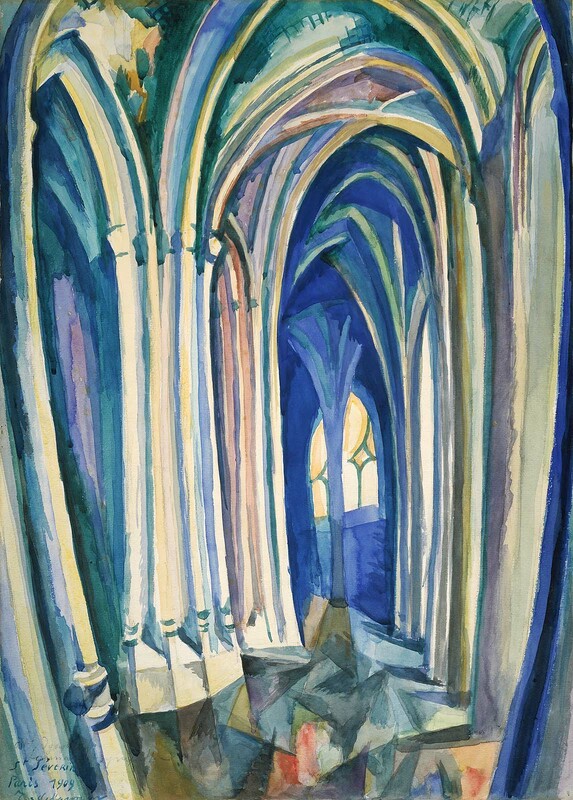 Robert Delaunay was fascinated by technological inventions, the Eiffel Tower and photography. In his depiction of the Eiffel Tower, Robert Delaunay combined the dynamism of the vibrant metropolis with the intensity of his colour studies. 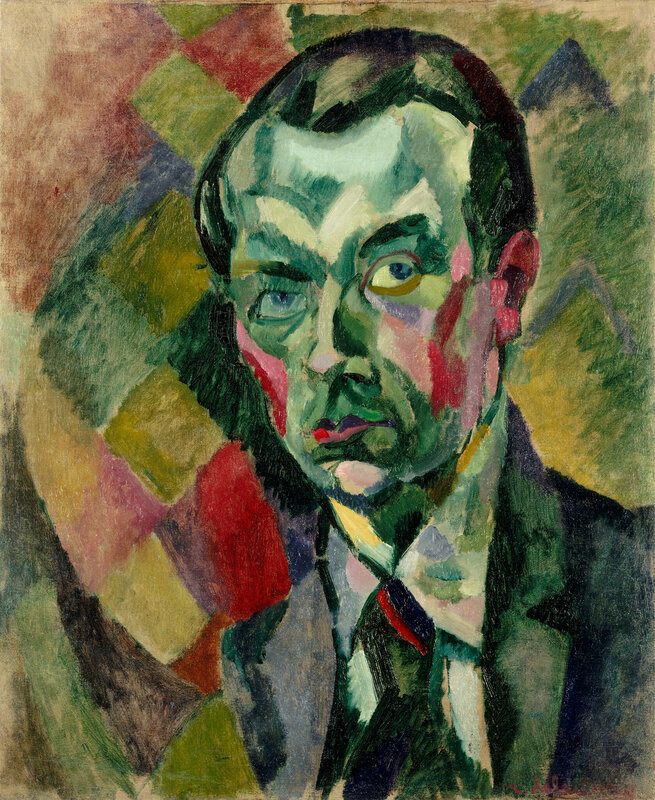 Modern technology, speed and movement dominate Robert Delaunay’s approach to life. In 1892 Paris receives electric street lighting, illuminating the night as if it were day, while in 1909 Blériot makes the first powered flight across the Channel. 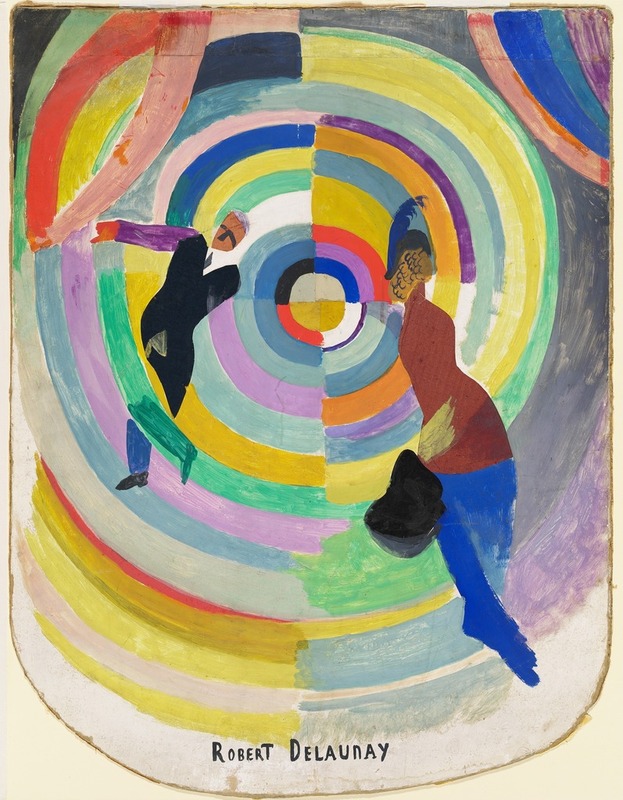 This was the backdrop for Delaunay’s investigations into how certain colour contrasts affect the eye and the creation of his ‘electric prisms’ and ‘circular forms’ – the earliest abstract images. The meeting of Sonia Delaunay and the poet Blaise Cendrars led to a fruitful collaboration and one of the most beautiful artists’ books, ‘La prose du Transsibérien et de la Petite Jehanne de France’ (‘Prose of the Trans-Siberian and of Little Joan of France’), in which text, the rhythm of language, colours and forms blend into a unique ‘simultaneous’ whole. 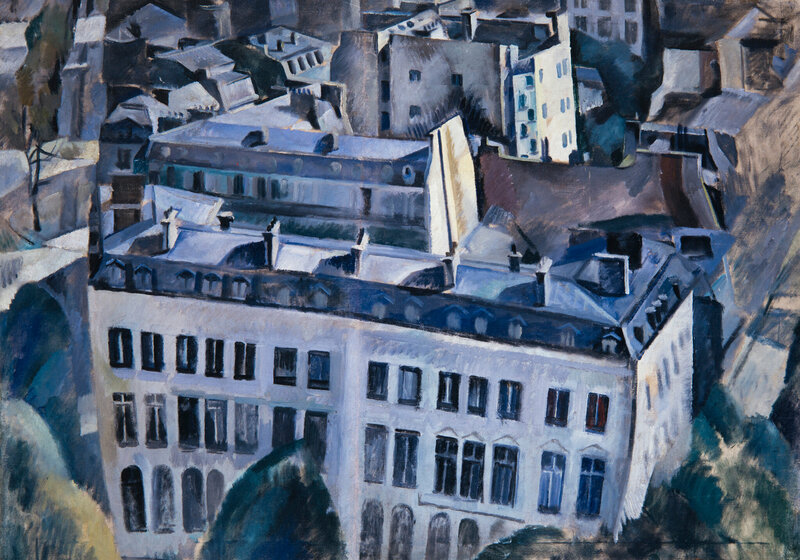 For the exhibition Robert Delaunay and The City of Lights , major museums and private collections in Europe and America have assisted Simonetta Fraquelli, a freelance curator specializing in early 20th-century Parisian art, by lending some of their Delaunay masterpieces which, for conservation reasons, are rarely permitted to travel. They include the Musée national d’art moderne, Centre Pompidou in Paris, the van Abbemuseum, Eindhoven, the Solomon R. Guggenheim Museum and Museum of Modern Art in New York, the Museum of Fine Arts, Houston, the Art Institute of Chicago and the Moderna Museet, Stockholm. A scholarly and lavishly illustrated catalogue in English and German accompanies the exhibition. It includes newly commissioned essays by Céline Chicha-Castex, Nancy Ireson, Anne de Mondenard and Simonetta Fraquelli (exhibition curator), contributing to the critical re-evaluation of this remarkable artist. 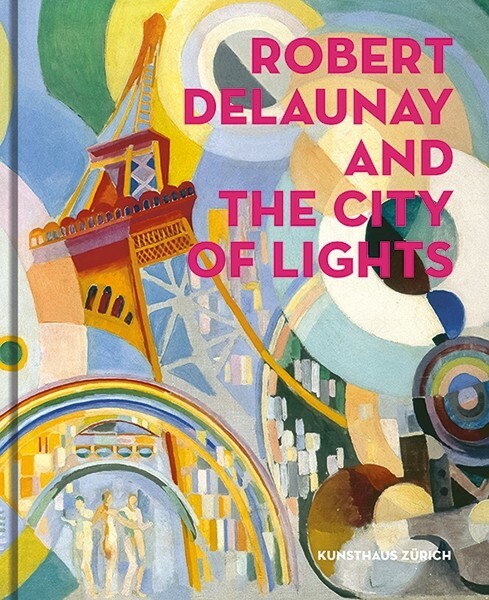 Robert Delaunay and The City of Lights will recognize Delaunay’s unwavering commitment to color in painting to convey form, depth, light and movement, while highlighting how the modern metropolis of Paris often provided the inspiration for his imagery and pictorial research. In addition to presenting works from of his most famous series of paintings, such as that of the Eiffel Tower, the book also includes portraits Delaunay made of his artistic milieu during the 1920s. 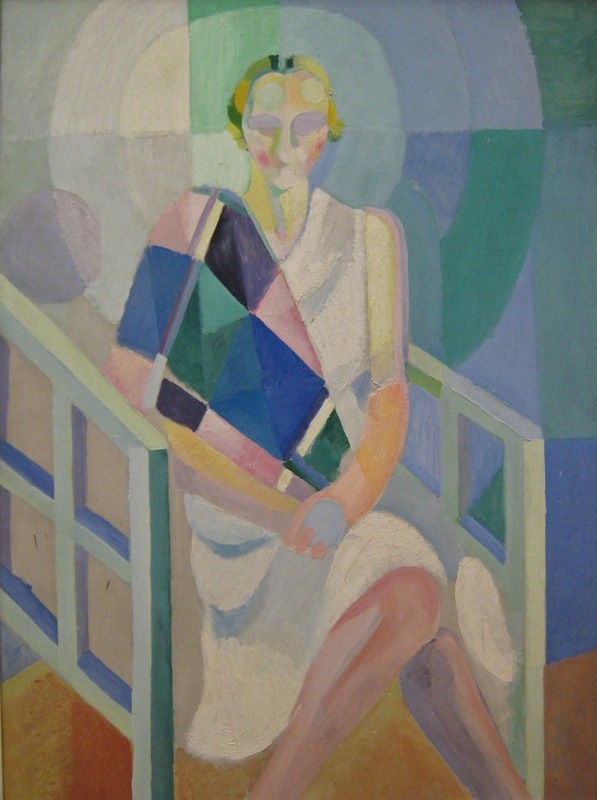 Portraits of the poets Philippe Soupault, Tristan Tzara, and several fashionable socialites, wearing ensembles designed by the artist Sonia Terk-Delaunay, are shown. The newly commissioned texts allow the reader to experience the wide-ranging and prescient nature of Robert Delaunay’s work – exploring the significant themes of movement, technology, sport, and advertising that were to preoccupy him throughout his career.